Browser Reading means that you can read a book in any browser. Reading has never been that easy. It is possible to read on a Desktop Computer, Tablet or Smartphone and also to switch between those devices to benefit from a seamless User Experience. sgrol.io is a new platform for textual content. We continue to develop our product to be able to offer you the great experience. For this reason, we developed the sgrol.io Web Reader. We want to offer you a modern product. This includes not only the technology but also the design with its surface. In order to achieve this, we inform ourselves about the latest trends regarding eBooks. Our product is flexible. The seamless eReading allows you to switch between different devices easily. We adapt our product flexible to our customers’ needs. The readers can use our Web Reader on a device of their choice. No matter if the user reads on the Smartphone, Tablet or Desktop, he will always have the best surface design. 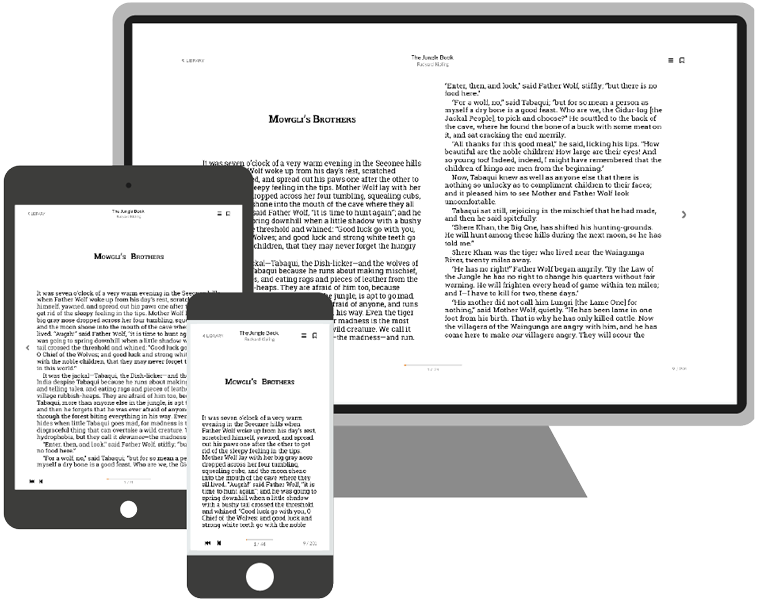 It is possible to switch between the different devices at any time, as reading progress and bookmarks are automatically synchronized. We only deliver small chunks of content to make sure, that your content is safe with us. It is just enough for the Browser to display it and to scroll fluently. This approach makes it much more difficult for users to easily download the content. We bring your content to the Browser in a secure way. With sgrol.io you can embed content delivery components directly into your product or website. It is possible to customize our components to fit your specific needs. We break up with the traditional static “document-as-a-whole” delivery approach. You can deliver your eBooks page-wise or chapter-wise and if necessary embed customized ads. 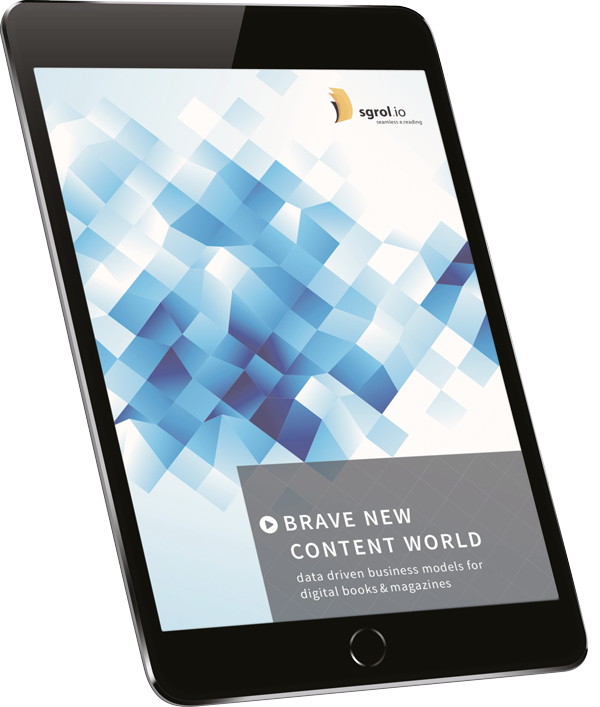 Interested in how we improve content delivery? Read our exclusive white paper and gain free access to our product by entering your Email. We think your content is great! Bring it to the Internet with us. With sgrol.io your books evolve continuously. With our Reader Analytics Dashboard you gain insights about your readers’ preferences. Based on that you can optimize your content and adapt it to the needs of your readers. Repeat the steps for continuous improvement. We offer you incremental product delivery. You can create and test Minimal Viable Products or Prototypes. You can execute A/B tests. We record the metrics and you can test your hypotheses. The heatmap shows how often a page has been read. The color of the bars shows you the frequency of the visits. The darker the bar the more often is has been visited. That is how you see which pages are interested, where your readers left the book or if some chapters are skipped. This graph shows the top bookmarked pages of the book. Readers can set bookmarks on pages which are interesting or important to them. The bookmarked pages can be equated with interesting pages. You can draw conclusions and see which parts of the book are the most exciting. This graph provides information about the pages a reader reads per hour. You also see on what hour of the day the reader is most active. Is it a bedtime reading or rather a textbook? It becomes visible if the reader only scrolls through the book or if he stays longer on a page. A scalable architecture to support all of your content and users. Intuitive user interfaces and responsive design that performs well on all modern devices. We only deliver the content in small, encrypted chunks. Do you have any questions? Are you eager to get more information? Would you like to tell us something?